That doesn’t mean there aren’t any good (even excellent) non-DOP balsamic vinegars out there. It just means you have to do a lot of label reading to make sure you’re getting a good thing. DOP stands for Denominazione de Origine Protetta, meaning food products whose origins are identifiable in the taste, texture or “perfume” of the product and produced in a specific region with all the ingredients coming from that region. This is all carefully overseen by the Italian government and it is a big deal when it comes to quality. Back in the 1980’s, when the balsamic vinegar craze hit the United States, many chefs looking for exotic ingredients in their dishes, started using balsamic vinegar. It became an overnight sensation, and the demand was too great for these small handmade batch producers to handle. 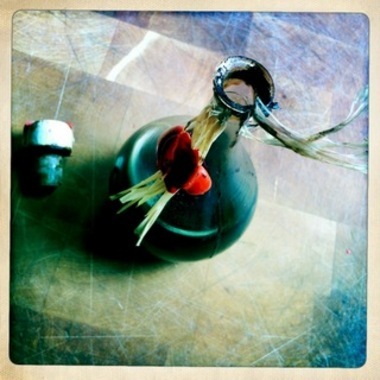 And so the market for inexpensive balsamic vinegars was born: vinegars that bear little resemblance to the real thing, using ingredients like cider or red wine vinegar, sugar and artificial coloring. 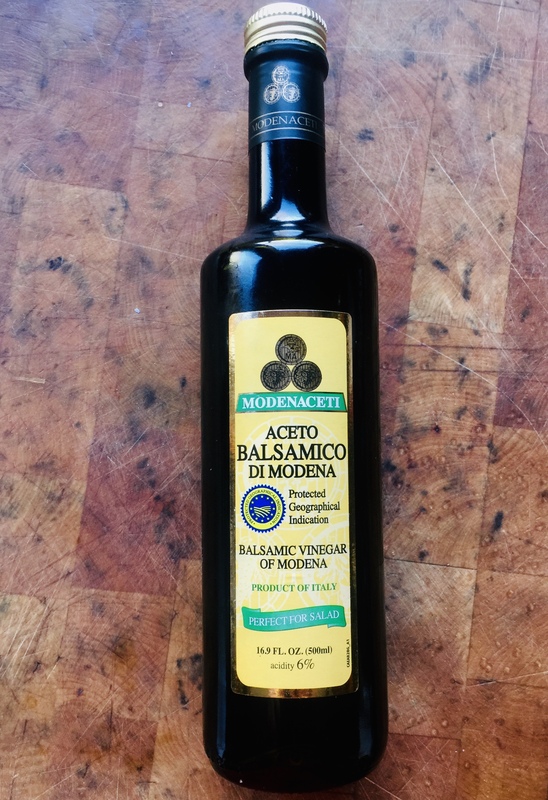 Well, the next step down from the good stuff is called aceto balsamico condimento—what we see in the stores as Balsamic Vinegar of Modena (although some are produced outside of Modena) and they average in price from $20 to $60 a bottle. They’re kept in less expensive wood barrels, and are aged less than 12 years. 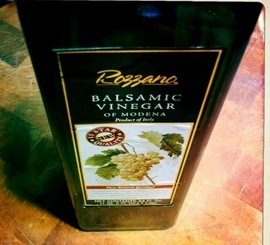 I recently found a bottle of balsamic vinegar under the brand name Rozzano. A 34 oz bottle goes for about 9 bucks. Is it the good stuff? Not really. But does it work in a salad dressing or a marinade? Absolutely. The only ingredient listed is balsamic vinegar of Modena, and its acidity is 6%. Bitters have been around forever, but the recent resurgence in the art of mixology has made bitters a real buzzword among bartenders and cocktail enthusiasts alike. Ten years ago, I almost never would have asked for a cocktail that included bitters. Now, I almost always do. But bitters aren’t the only way to spice up your libations. Other tinctures have been around for centuries as well, many of which are finding their way to the forefront of mixology. Two of those are falernum and shrub. Despite that falernum and shrub sound like the name of a bad law firm, they are welcome additions to many simple spirits we enjoy. 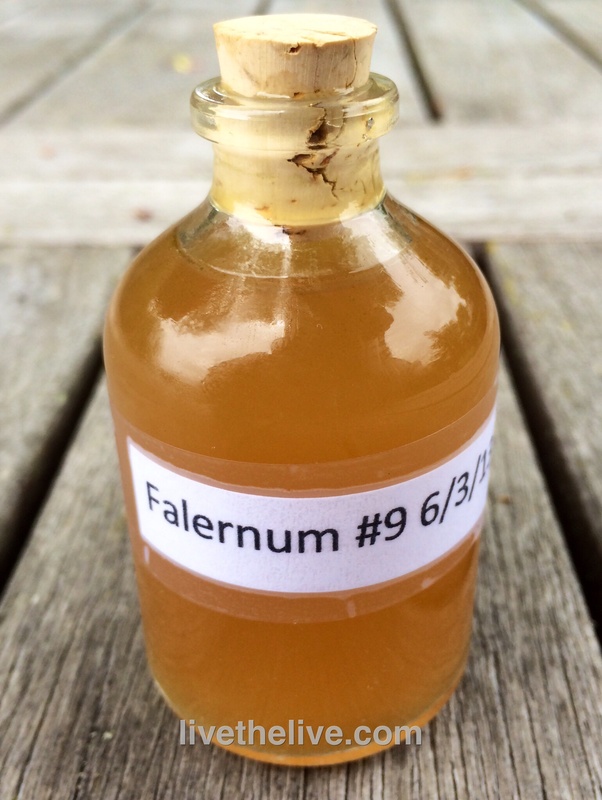 Falernum is a sweet syrup used in Caribbean and tropical drinks. It often has flavors of almond, ginger, cloves, lime and sometimes vanilla or allspice. Some people drink falernum by itself on the rocks, but most often it is mixed in a cocktail. The bottle below is falernum made by my friend Roy, who used ginger, cloves and lime juice in an alcohol base. Shrub, meanwhile, can be several different kinds of drinks. It was a fruit liqueur popular in 17th and 18th England, made with rum or brandy mixed with sugar or the juice or rinds of citrus fruit. A shrub was also a drink popular in American colonial times, featuring a mix of vinegared syrup mixed with spirits or water. But most times, today’s version of shrub is the sweetened vinegar-based syrup itself. If you’re curious about shrub, there’s a great source for a variety of shrub flavors: http://www.shrubandco.com. Place ingredients in a small sauce pan and reduce by half. Use this sauce on steaks, burgers, etc.